A song is a unique genre that has its own approaches, and involves talents of a slightly different nature in comparison to writing a poem. Songwriting is a serious and thorough work, and the following recommendations will help you craft a song worthy of being sung. Define the topic and the title. The title is what your song is going to be about, so think well. Formulate it in 2-3 meaningful words. Now think about the lyrics. At this point, there is no need to worry about rhyme or rhythm—all you need is to fill your title with details. The best way to find out what you want to sing about (if you are writing from scratch, without previously thinking over those thoughts and emotions you would like to convey to your listeners) is to ask yourself questions about the title. For example, if the title is A Girl to Remember, imagine the personality of the girl: who was she? How was she related to the main character of the song? What did she do? What did he do? And so on. The chorus is the next important part of a song. Generally speaking, the chorus is the part of a song that people remember the best in terms of lyrics; this is also “a hook”: the part that gets stuck in your head. Therefore, make the chorus remarkable and catching. As you have lyrics ready, it is time to think about the melodic structure. The easiest way to write a melody is to repeat the rhythm of your verses; however, a song written this way may sound too simple. Experiment with the chords and the beats, and find the sequences that optimally emphasize the emotions expressed in your verses. Think about the bridge. The bridge in music is a part of a song where it suddenly shifts: changes its pace and rhythm, volume, or instrumentation. Play and record the song and listen to how it sounds. Make sure it is catchy, but not annoying. If you are not satisfied with its sound, or see how the melody or lyrics can be improved, make corrections immediately, otherwise you will most likely forget about it, or get used to the sound and fail to hear the dissonance. The best source of topics for songs is your everyday experiences. There are music groups that can write songs about almost anything, starting from the cosmos and ending up with an inkwell. However, until you become that skillful, you can write about your feelings and emotions. Just listen to yourself, determine what you feel; try to distinguish the reason for your feelings: a thought, an event, a certain person. This itself can become a topic. Or you can get analytical, and ask yourself questions about your point of interest, so that the answers become material for lyrics; or you can use a method of free associations and write anything that comes to your head first. All these methods are suitable. The most common, simple, and effective structure of almost any song usually looks like this: 1-2 verses #1 – chorus – 1-2 verses #2 – chorus #2 – bridge – chorus #3.
Who said you must create a new song only from scratch? In fact, you can draw inspiration from the music of the artists you like; listen to their chords and melodies, notice how they use bridges and what their choruses sound like. You may hear an interesting musical phrase or a metaphor in the verse—remake and improve it, make it sound like your own invention. This is not plagiarism, when you create new songs based on the work of others. However, this doesn’t mean you can “borrow” or steal a musical sequence or a piece of lyrics. You can turn bad experiences in your favor. Sadness, grief, and other negative emotions are great potential sources of inspiration: the trick is to pull yourself out of these conditions to make some distance. When we are happy, we usually don’t pay much attention to ourselves; we enjoy life. However, when we are down, we tend to seek for reasons for our bad mood, delve into the past, or indulge into philosophical speculations. All this can give you enough material, as well as energy, to write a song. If you know how to play any musical instrument and can read notes, it is a great benefit for you for sure. However, even if you don’t have any musical education, all you need to create a melody is to be able to distinguish between chords. Do take your time. If you expect that songs just fall from the sky, or are composed in a couple of hours, you are mistaken. Relax and enjoy the creative process. Do start with a melody that is already in your head; you can further develop it into a more interesting musical motif. It is a point to start from, so don’t be picky about how it sounds. Do experiment with melodic structure. The first version of a melody that came to your head isn’t necessarily the best one. Play with the chords, riffs, harmonies, make your melody more complex or simplify—do whatever it takes to make it sound more interesting and vivid. Mind though that sometimes the simpler the music is, the better the song sounds. Do be open-minded, and ask for help if you have friends who are more experienced in writing songs or music. Even if you ask for help, it doesn’t mean the song is not yours anymore. Do use brainstorming techniques if you feel like you have writer’s block. Don’t give your songs long and conceptual names, at least until you are a famous avant-garde musician. Though there are exceptions, usually long song names indicate their authors had little idea of what they wanted to sing about. Don’t put yourself into a dead end by trying to write a super-original song that won’t be “mainstream.” Almost all modern music is mainstream to some extent. Don’t be shy, contemptuous, or in some other way negative about your first song. Appreciate your hard work. – Making a song that is too monotonous. You may like the melody you’ve composed, but this is not a reason for repeating the same sequence of chords throughout the whole song. – Making the song too diverse. 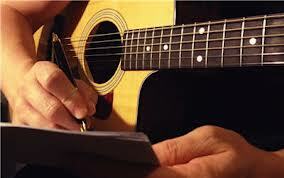 Some beginning songwriters tend to write different melodies for almost each verse, chorus, or bridge. This makes the song sound chaotic. – Making the melody of the chorus sound lower than the verse melody. In this case, none of your listeners will be able to understand where the chorus begins.